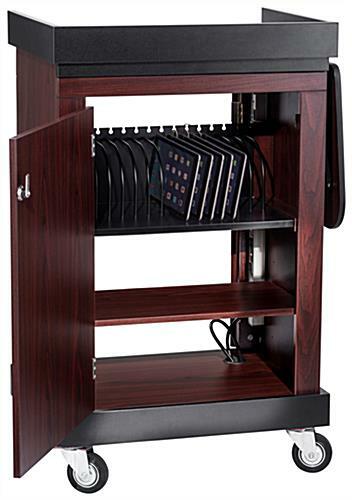 Provide mobile charging service in the office or classroom! 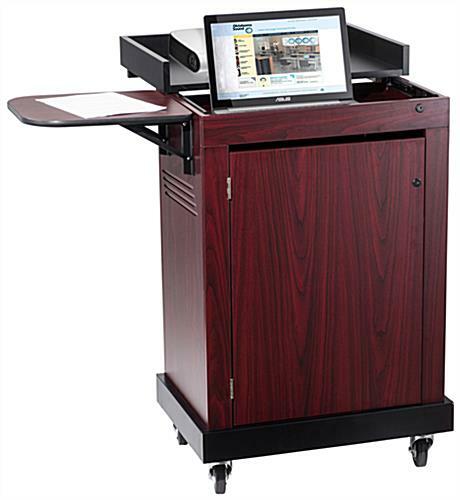 Our smart cart lectern is the perfect multimedia station with a ton of great features. 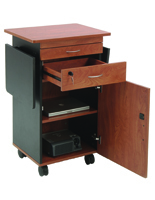 With the evolving need for computer friendly furniture and equipment, this rolling cart boasts secure, locking doors for protecting your investment. 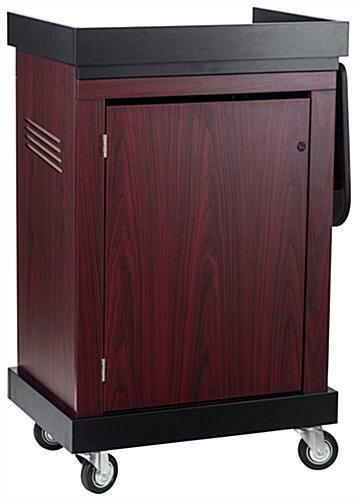 16 individual charge slots are positioned inside the cabinet which includes built-in ventilation slots. 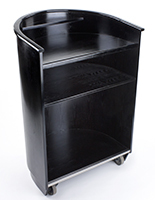 The smart cart lectern also features a recessed top surface that slides out to reveal a second recessed surface. 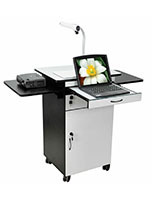 Roll the station where needed thanks to the four casters, two of which are lockable. 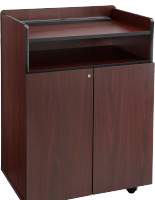 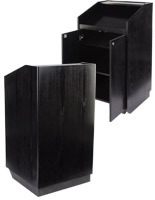 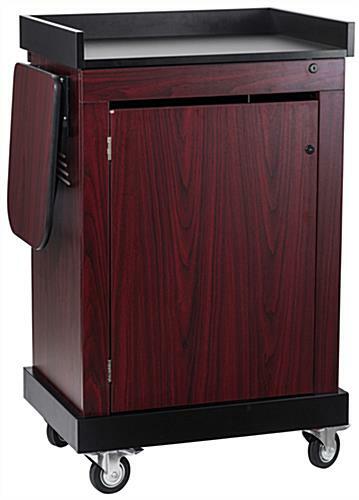 Covered in mahogany wood plastic laminate, our cart lectern offers excellent durability with an easy-to-clean finish. 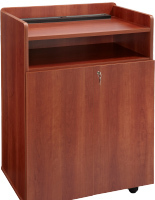 Assembly Required: This multimedia lectern requires assembly as it ships unassembled to save on shipping costs. 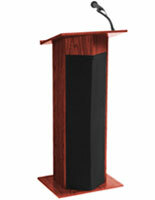 28.0" x 41.0" x 21.0"